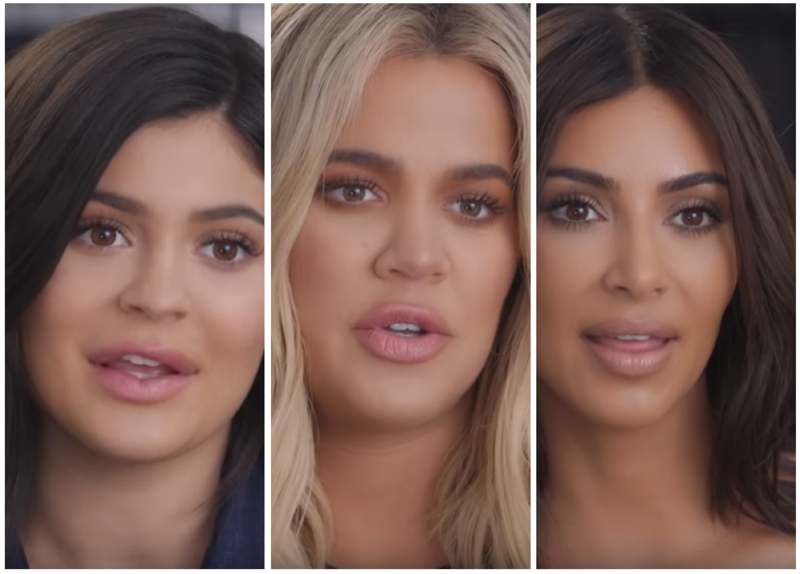 In an new exclusive interview with the three of the women of the Kardashian clan who are moms, Kylie Jenner, Khole and Kim Kardashian West, E! News uncovers the women’s deepest thoughts and opinions about motherhood. 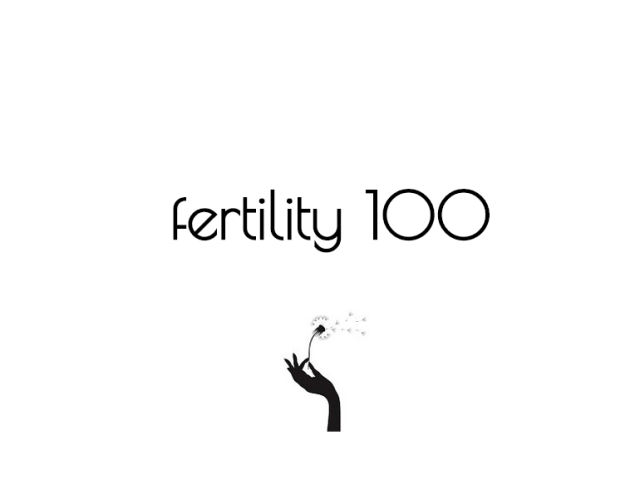 For a few years early in this blog’s life, I published an annual list of the most expensive strollers, cribs, baby and children’s clothes and maternity wear which I eventually compiled in a book called Bellyitch 100 (you can get it HERE!). The most expensive crib on that list was made by Art for Kids and cost $4,400. Cardi B‘s custom made crib for her and husband Offset‘s daughter Kulture surpasses that one. The rapper took to Instagram to show off the crib which according to Vogue’s research cost $4,500, retail. 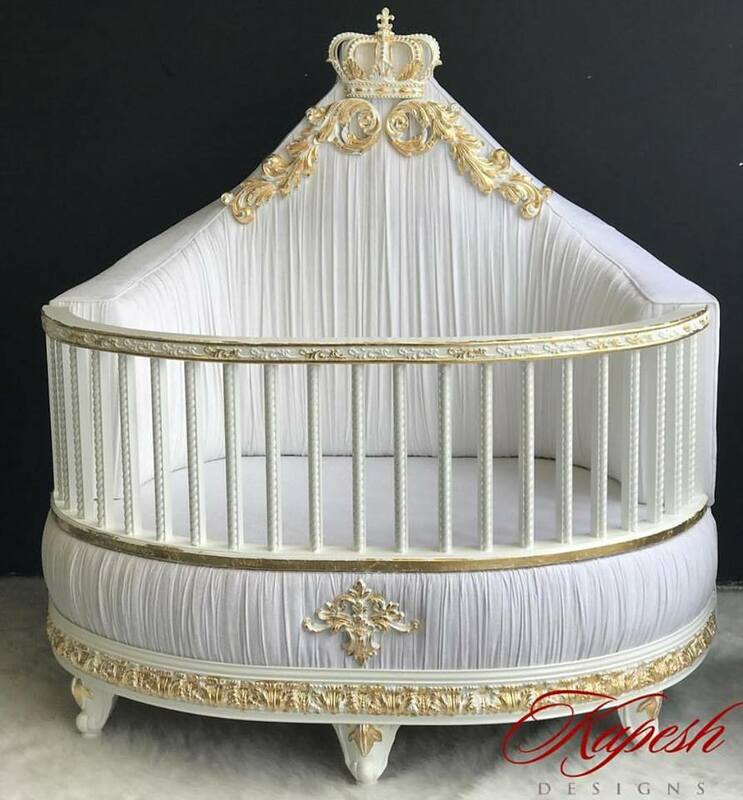 The crib’s designers, Kapesh Designs, said on Instagram that this exact one was custom made, but the fact Vogue could find a similar product in stock on their website proves that claim may not be entirely accurate.however, they had a similar product still in stock. This little Princess’ crib adds to the crib’s of kids from other famous celebrities like Kim Kardashian West‘s $4,500 Vetro Lucite crib for her brood (Beyoncé and Jay Z are also allegedly fans of the minimalist baby furniture), while Serena Williams posted a picture of her daughter’s rose gold crib by Incy Interiors to her Instagram story. Kim Kardashian-West wore West African Fulani braids to the MTV Movie awards and it elicited a lot of reactions and responses from people, some accusing her of cultural appropriation. For those who don’t know, the term refers to the wearing of clothing, hairstyle, accessories or some other item indigenous to a culture not your own for fashion purposes while not recognizing, defending or engaging with the culture in other context, otherwise. It is not a new term, but one that is getting a lot of mileage because social media has exposed it. 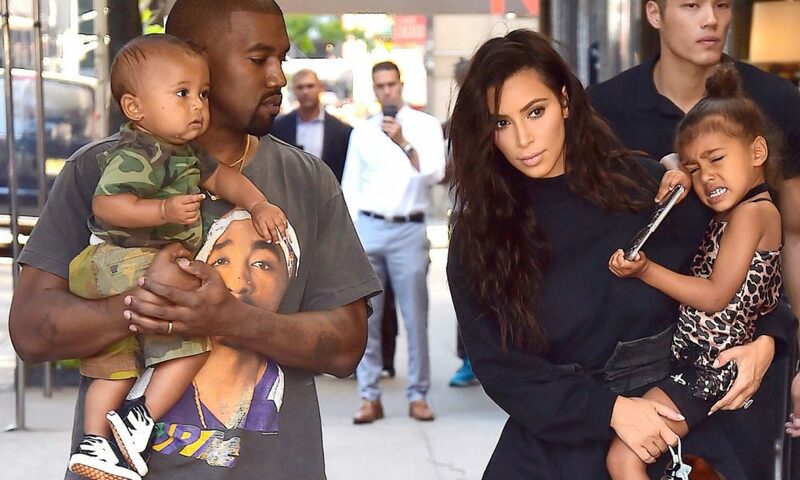 It was not the first time Kardashian-West was accused of it for wearing braids. She has done it a few times before. 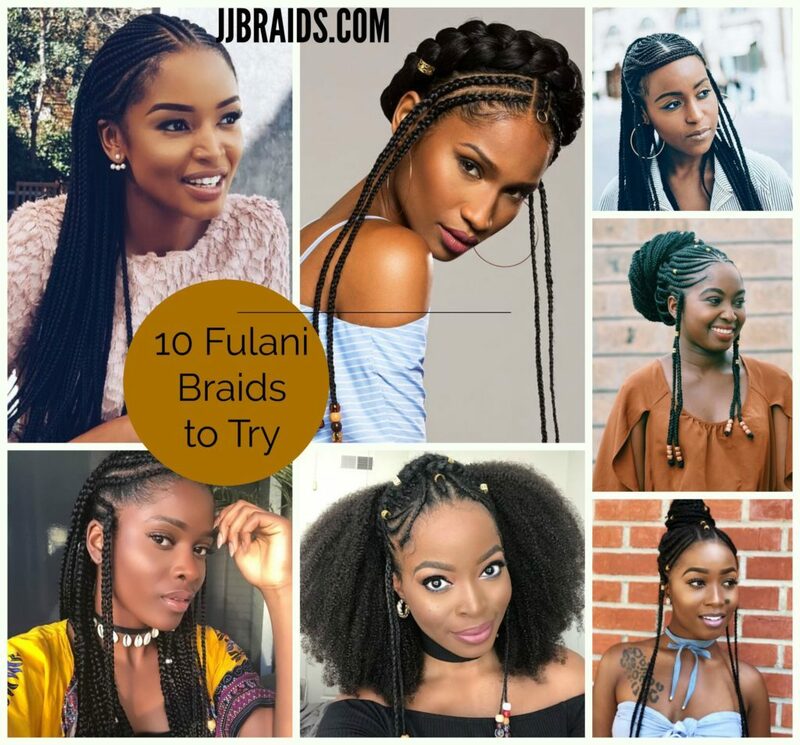 I have no opinion but I did want to use the opportunity of a lot of people talking about Fulani braids to plug a post I did on the topic over on my braids blog, JJBraids.com you can access here. Now that four out of the five original Kardashian-Jenner women are moms and all super svelte and trim post baby delivery, we thought we would take a look at all the various weight loss gimmicks, tricks and hacks the ladies have shared on their social to their fans and followers. 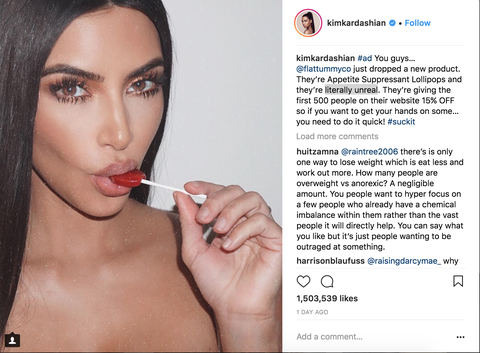 On Instagram, Kim Kardashian-West posted the #ad above promoting Flat Tummy Co’s appetite-suppressing lollipops, calling them “literally unreal.” (She later deleted it.) The manufacturer’s website claims these candies contain an active ingredient called Satiereal, “a clinically proven safe active ingredient extracted from natural plants.” Eating one to two pops per day in response to hunger is supposed to promote satiety to help control food intake, cravings, and weight, and help hold you over until your next meal, all according to the website. Khloé Kardashian says wearing this secret weapon(essentially a trash bag that contains body heat during workouts) makes her sweat two to three times as much. “I like wearing the sauna suit during cardio, but you burn more calories and break a sweat faster even if you’re lifting weights,” she wrote on her app. She also says she drinks two or three times as much to prevent dehydration. Khloé has said she lost 11 pounds in a month and a half by eliminating dairy from her diet and replacing foods like cheese, milk, pizza, and ice cream with dairy-free items. Khloé’s nutritionist cut gluten out of her diet — and Kourtney recently put herself and her kids on a gluten-free diet too, bringing dairy-free, gluten-free cookies to her brother Rob’s birthday party for her kids to eat instead of birthday cake. Khloé has endorsed Fit Tea Wraps (in sponsored posts, FWIW). Essentially, they’re a sheet mask soaked in a special gel made with ingredients like green tea, cocoa extra, and a bunch of other stuff that’s difficult to pronounce. You apply it to an area like your stomach, wrap it in cellophane to soak in, and rub the excess gel into the skin to minimize the appearance of cellulite for a firmer, toned look. The Council of Fashion Designers of America—in partnership with Swarovski for the 17th year—(CFDA) held its annual awards last night at the Brooklyn Museum which was hosted for the first time in 10-years by a woman, Insecure star, producer and writer Issa Rae. During the red carpet of the event, we noticed several of the celeb moms (and one mom-to-be) we have featured on the blog looking tres fashionable. In collage above: Top: Irina Shayk, Jourdann Dunn, Lily Aldridge, Busy Phillips, 2nd-time mom-to-be Clair Danes; Bottom: Rachel Zoe, Kourtney Kardashian, Kim Kardashian-West, Alessandra Ambrosio and Ciara looked ravishing! Kardashian-West won the Influencer Award. Kylie Jenner is helping designer Karl Lagerfeld bring back the 53-year old French designer Fendi’s monogram logo back in style with her recent Instagram snap of herself outifitted in a skin tight Fendi mini dress pushing her three month old daughter Stormi in a monogram Fendi baby carriage while carrying her essentials in a vintage Fendi Fanny pack with the logo on it as well. The stroller retails for $12,500 so the money emoji she punctuated the caption to the photo, “Stormi Strolls” with is quite appropriate! The world of Hip-hop has always had a thing for the Fendi logo: Dapper Dan of Harlem used fake Fendi fabrics featuring the Double F to dress artists on stage and off-duty and Kanye West became a living advert when he shaved the Fendi logo onto the side of his head in 2006 while attending a party the brand was hosting in Tokyo, Japan. Fendi became a prime choice for male and female rappers, and many rappers and urban artists have used Fendi in their lyrics. The brand is referenced in many songs including Black Eyed Peas’ 2005 hit My Humps, Yo Gotti’s 5 Star Chick remix from 2009 and in Kanye West‘s Don’t Stop a year later, and Chamillionaire’s Gucci & Fendi in 2012. But, the name-drop isn’t the prerogative of hip-hop: Lady Gaga also cites Fendi in her 2013 song Fashion. Add a logo diaper bag, which retails for about $1430, to the ensemble and you got a very expensive stroll! Fendi’s Spring/Summer 2018 collection, Karl Lagerfeld brought back the 53 years old emblem to the catwalk. Modeled by Kendall Jenner, a cropped fur blouson and matching tote bag were printed in the brand’s iconic Zucca print, while Lexi Boling was dressed in a knee-length fur coat trimmed with the brand’s monogram. For the Autumn/Winter 2019 collection, the inverted Zucca again played an essential role. Karl Lagerfeld understands the power of branding, and Fendi’s logo is a key element of the brand’s overarching strategy. Celebrities, too, know how to play with such iconography. 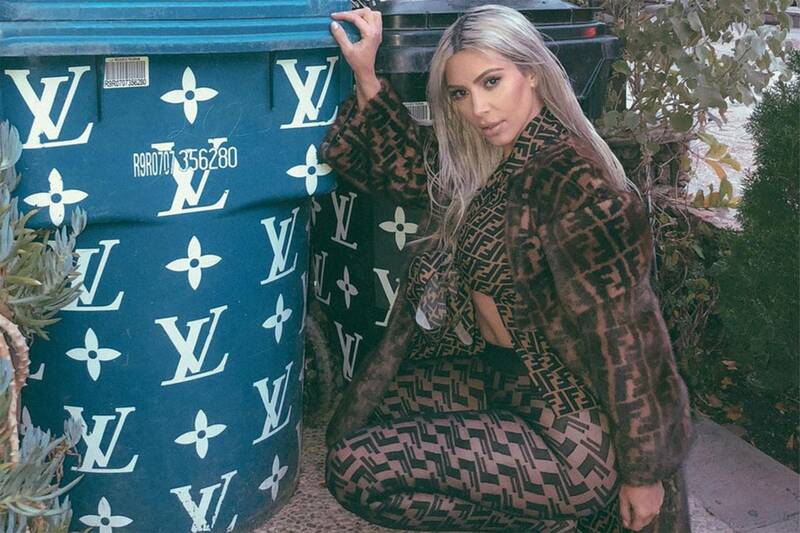 In February 2018, Kim Kardashian posted a selfie on her Instagram account, on all fours, dressed in vintage Fendi logo stockings with a matching tied-up top, the caption reading: “Fendi Fan.”Logomania is in, and the Italian brand is at the forefront of the trend. The celebrity mom took to Twitter to answer questions about her life as a parent a few weeks ago. “There really was no worst part,” Kylie said of her experience with pregnancy. “Probably not being able to eat sushi,” Kylie mused. “I had such a perfect experience. she moved a lot,” the celebrity mom said. Congratulations to Khloe Kardashian on the birth of her first child, daughter, in a hospital outside Cleveland, Ohio this morning, TMZ reports. The Good American Apparel co-founder announced her pregnancy with NBA‘s Cleveland Cavaliers star, Tristan Thompson, just last December after much speculation. Since then, the Revenge Body on E! host has been sharing a lot about her pregnancy experience through her personal app and website, from what’s inside her hospital bag to her pregnancy fitness and post-baby exercise routine. The delivery comes on the heels of very public videos, suggesting that her beau since September 2016 was cheating on her with a woman in NY and a couple of other women at a hookah lounge outside DC last October. Neither Khloe, her family or Thompson have publicly addressed the reports. the 33-year-old Keeping Up With the Kardashians star went into labor on Wednesday. 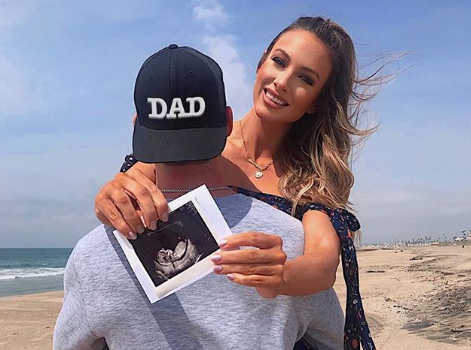 After her water broke, the reality star went into labor for “several hours,” per another source. She then delivered the baby at a Cleveland hospital Thursday morning. Thankfully, her mother, Kris Jenner, her sisters, Kim Kardashian and Kourtney Kardashian, and her BFF, Malika Haqq, were all there for support. “She labored with Kris all day on Wednesday,” the first insider said. The first insider also said the baby’s father, Tristan Thompson, was there for the birth. The Cleveland Cavaliers player had a game against the New York Knicks in Ohio on Wednesday. “He wants to spend as much time with the baby as he can,” the first insider added. The birth came days after videos of Thompson kissing and being intimate with other women surfaced online. The second source told E! News Khloe is “distraught” over the allegations but is focusing on the baby. While the aforementioned source said Khloe wants the baby to have a relationship with the father, the insider also said she and Thompson are not on good terms. Khloe also reportedly plans to head back to Los Angeles as soon as possible and raise the child there. The baby’s arrival was showered at a lavish pink baby shower earlier this year. Congrats to Khloe and we are thinking and praying for a healthy recovery and that she overcomes this very stressful situation. The baby also has a half-brother, Thompson’s 1-year-old son Prince from a previous relationship with Jordan Craig, who is first cousin to our other Bumpwatch alum, Eniko Parrish Hart. Kylie Jenner Just Shared a Close Up Photo of Stormi Webster and She’s Gorgeous! It was a week after make up mogul and reality TV star Kylie Jenner complained about not using Snapchat much anymore that the social media app’s stock to fell more than 7 percent (a loss of $1.3 billion in market value). 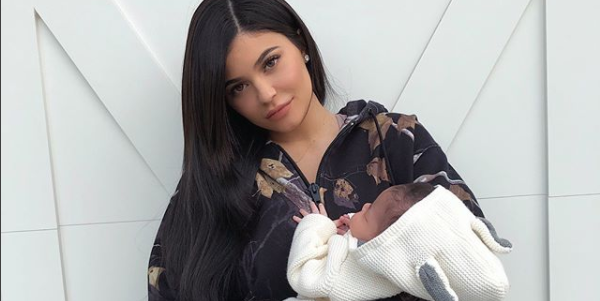 The youngest of the Jenner/Kardashian clan has redeemed her love for the video sharing platform (and hopefully some stock value) after sharing a sweet video of her gorgeous one month old baby girl, Stormi Webster on Snapchat on Friday, March 2. The Life of Kylie star’s quick vid was captioned, “my pretty girl” while daddy, rapper Travis Scott, shared his own version of the same photo of baby sucking on a purple pacifier all bundled and snug in an off white furry blanket. Stormi’s closeup pic debuted a few days after her cousin Chicago West appeared on Snapchat. 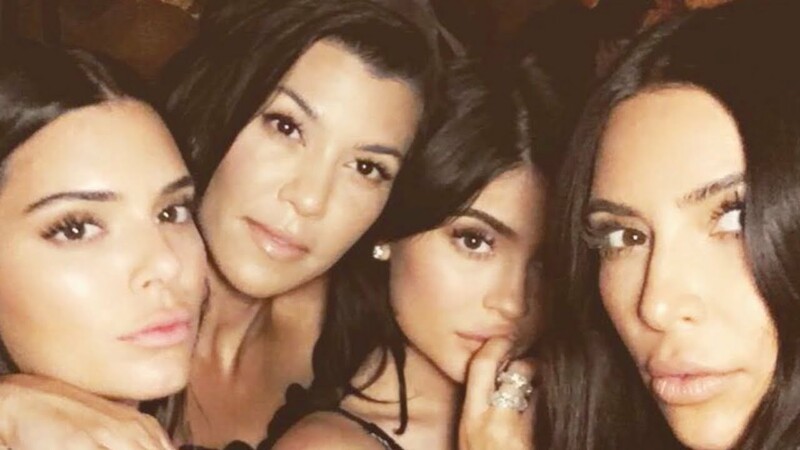 No wonder the fans of Kim Kardashian West and Jenner are feuding. These coincidentally-timed reveals give the fans a lot of fodder to play with. It appears, along with Dream Kardashian, the girl cousins may grow and be close the same way Penelope Disick and North West are buddies. The sisters dismissed it in Twitter responses.